Crossing Point, The Scottish Music Shop - The Best Selection of Scottish CDs and Scottish DVDs. 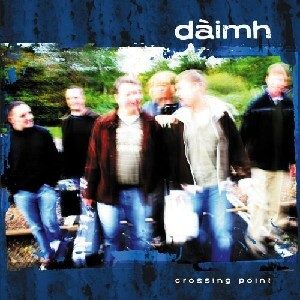 The fresh and exciting sound of Daimh is back, with another cracking album, this time with the addition of some great vocals. The bagpipe and fiddle-led band romps through tunes with great skill and style. A superb recording.